Last month, I returned to Mississippi and visited the Delta, which is ground zero for the country’s diabetes epidemic. It is where I met Ms. Annie. She noticed the first signs of diabetes when she woke up with blurred vision. So, she signed up for a remote patient monitoring program. She showed me the iPad and the Bluetooth-enabled blood sugar monitor that she uses to test her blood from home and it gives her instant feedback, including steps she can take that day to stay healthy. Ms. Annie’s A1C levels have gone down and she says she’s never felt better. Patients like Ms. Annie no longer need to be at a healthcare facility to receive quality care. They can now utilize mobile health applications and remote monitoring programs at home. Many of these applications and programs integrate Artificial Intelligence (“AI”), which enables medical professionals to better detect health issues, review images, correspond with patients, and maintain medical records. The healthcare technology model historically has emphasized broadband connectivity at and between brick-and-mortar healthcare facilities. This presentation will discuss how the technology and the legal framework underlying it are shifting to support telehealth services and other digital health tools and tasks assisted by AI technology and expanded broadband deployment. It will address the legal and technological obstacles facing these developments and how they may be overcome. And it will discuss examples of AI and telehealth operations delivering improved patient outcomes today and anticipated in the near future. 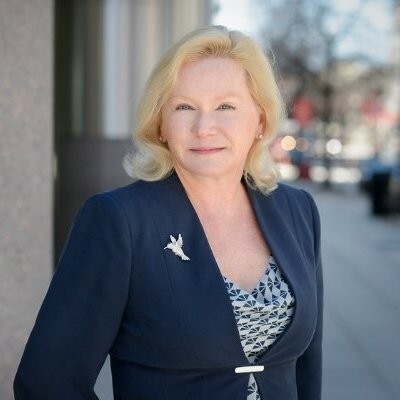 Chérie R. Kiser is the managing partner of the Washington, D.C. office of Cahill Gordon & Reindel LLP. Since 1990, Chérie has been at the forefront of growth and innovation in the telecommunications industry, counseling companies in the voice, video, Internet, and data communications markets. Most recently, she has applied her knowledge of broadband deployment, Internet access, and artificial intelligence to legal strategies designed to speed the availability of telehealth. She received a Certificate in 2018 from MIT Sloan School of Management & MIT Computer Science and Artificial Intelligence Laboratory and is currently Chair of the Technical and Clinical Standards and Guidelines Task Force of the Partnership for Artificial Intelligence and Automation in Healthcare (PATH). She is recognized as a leading communications lawyer in Washington, D.C. by Chambers USA and by The Legal 500. In 2015, she was named one of the 75 “Outstanding Women Lawyers” in the United States by The National Law Journal and was chosen from a highly competitive pool of applicants to attend the 2015 DirectWomen Board Institute.